Sleep is important for all animals and humans but it is not always easy to manage. Children make this even more complicated, as they do not always easily follow the schedule you want for them. You might need infant sleep help or toddler sleep help to make their lives, as well as yours, easier. Most kids’ sleep requirements are similar within the same age range, but keep in mind that every person is unique and may have distinctive sleep needs. Newborns’ internal clocks are not fully developed yet, so they sleep when they need or want to and wake up mainly just when they need to be fed. All around the world, they need to sleep from 16 to 20 hours a day in the beginning of their lives. Around the age of three months, the number of hours of sleep starts to decrease a little and are mostly at night, even though most will still wake up to eat. If your little one mainly sleeps during the day, you will need to adopt some habits to help them differentiate day from night. Night-time awakening for changing and feeding should be as quick and quiet as possible. Avoid turning on the lights or make sure they are dimmed. Do not talk to your baby and try to stay calm and relaxed while you are up. At around 5 or 6 months, many babies are ready and capable to sleep through the night without a feed. They will make up for the caloric intake they used to get in the night, throughout the day. 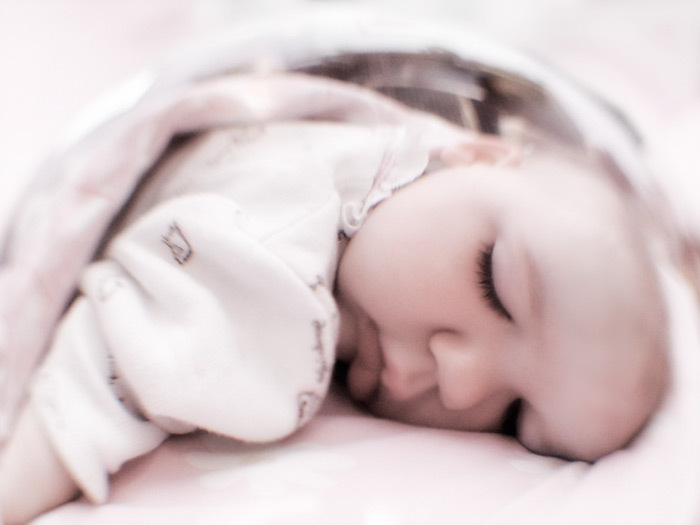 To help infants sleep better, you can create a very simple routine just before night-time, like bathing your baby, dressing them and having a feed with dim lights on, and then putting them into bed. In time, they will learn that this means he needs to sleep and his body will react accordingly, making sleep come much more easily. 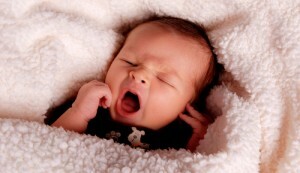 At this age, most babies will nap about 3 to 4 hours during the day and then sleep 10 to 12 hours at night, unbroken. Naps will go from 4 to 3, to 2, and possibly even to 1 a day, by 12 months old. The average age to begin napping only once a day is often around 14 months, but there are many children (especially those who do not have a sleep deficit through the day) that will move to once daily at 11 or 12 months. Continue with your pre-sleep routine to help your child understand when night comes. You can add reading an age-appropriate book or singing a song or two to the routine. This routine should be about 15 to 30 minutes long. Children this age can begin to show signs of separation anxiety and they desire to be with their mother or father, so they might try to get you to take care of them during the night or stay up with you instead of going to bed. A child that is really tired will not sleep better, contrary to popular belief, so it is better to put him to bed quickly once he shows sign of tiredness. Find out at what time this happens usually and set a regular bedtime. Naps should be regular too and based on the amount of awake time and “window for sleep” that is appropriate to your child. If you do not know what the best possible combination of naps and night-time sleep hours is, a good tool to use is a sleep diary in which you note the times and duration of every sleep session. Within a few days or a few weeks, you should be able to identify which pattern works best and plan your schedule according to it. During this period of time, there will be big changes in your child’s sleeping habits. 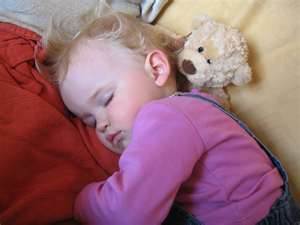 The duration of naps will likely decrease and will eventually disappear (at around 3 years of age). You will need to change bedtime accordingly. If your 3 year old is up at 7am and has not napped, they will probably be ready for bed by 6:30 or 7pm. Make sure you start your bedtime routine early enough before he or she becomes tired, or they will have difficulty falling asleep. Watch out not to extend that routine too much: set specific rules like the number of books you are going to read and maybe even the number of questions they are allowed to ask per page, for bedtime reading; children in that age range tend to try everything they can to go to bed later. Make drinking a glass of water, brushing teeth and going to the bathroom part of your routine so that they cannot use these excuses to get out of bed. Use my support systems to implement the best possible strategies for learning healthy sleep habits, regardless of age group. I specialize in helping you giving your children the healthiest life habits as possible. As mentioned earlier, every child will have specific needs and sometimes problems in terms of sleep. My plans are designed to promote healthy sleeping patterns from infancy and onwards.